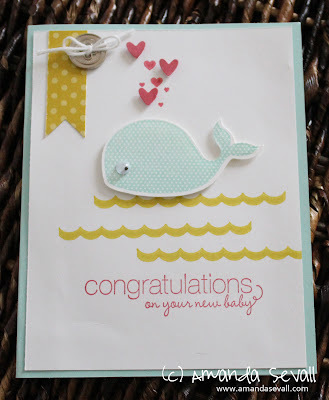 Amanda Sevall Designs: Card: Oh, Whale Baby! I think my favorite part was the usual colors for the water waves- not something I would have normally picked, but I love the result! I can't wait to give this one to someone! Adorable! The googly eye is so fun. This is too cute! 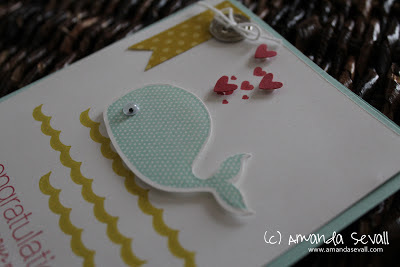 Love the hearts and the color combo!